We get our ears pierced because of how beautiful earrings make us look and feel. There are so many types of earrings. There are also earrings for men. Earrings do not only complete any outfit, whether that be for work, leisure or a special occasion but also help us express our personality in a fashionable way. They add symmetry to your look and enhance your outfit by tying everything together. It is believed that earrings are a very important part to anyone’s jewellery wardrobe. There are so many different styles, fittings and designs available which makes them wonderful gifts suitable for any budget or occasion. There are hoop earring, clip on earrings, cartilage earrings, silver hoop earrings, clips, nickel free earrings, men`s hoop earrings, dangling earrings. 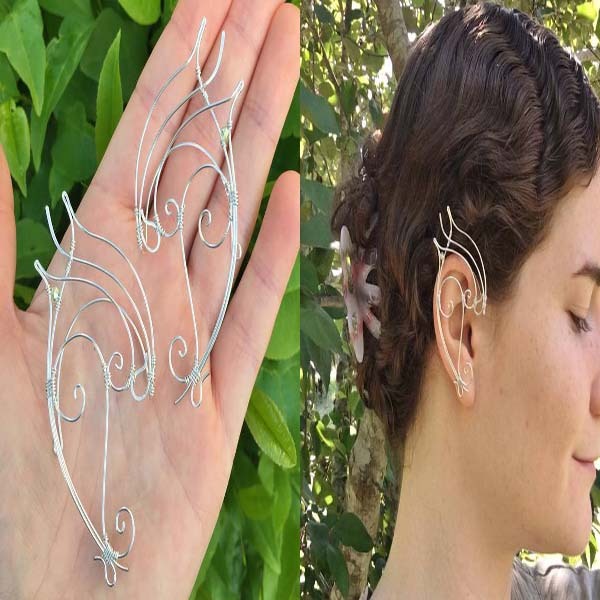 Bajoran Earrings are also known as the ‘slave earrings’, this earring type has come into sight of the public and gained its popularity since it was first shown on Star Trek. This type of earrings comes with many pieces that are attached of a chain, so the style and shape can be various. The butterfly fastening is the most common; it has a small hole that fits perfectly onto the post of the earring to ensure it does not slip. This fastening is known for its comfort and security. It is a kind of fastening more often used in heavier or larger sized earrings as it ensures a better hold. It is possible you to mix the chandelier earrings and drop earrings because they look very similar. But in fact they are not just the same types of earrings. The chandelier earrings are more complex in design, with multi-layered decorative pieces and an interweaving of multiple precious stones, sometimes with feathers. If your ears are sensitive or simply don’t have them pierced, clip on earrings are a perfect alternative that allows you to show off your looks and keep comfortable. 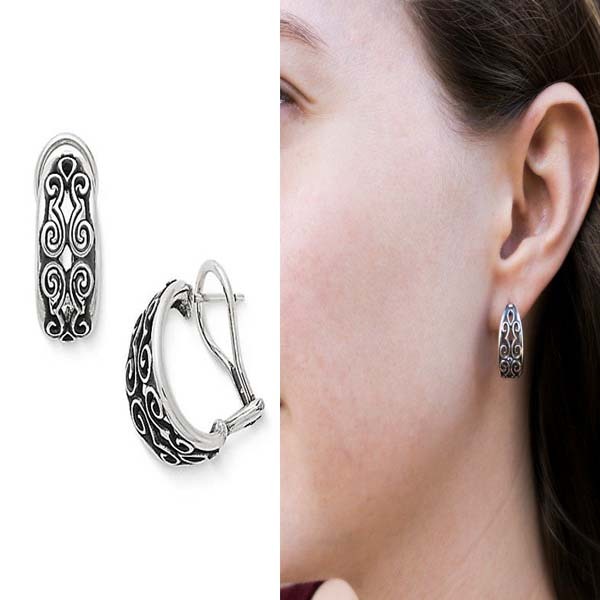 Clip earrings give you the opportunity to experience this type of jewelry despite the fact you have got sensible ears. The great variety in clips will help you complete your outfit in the most appropriate manner. 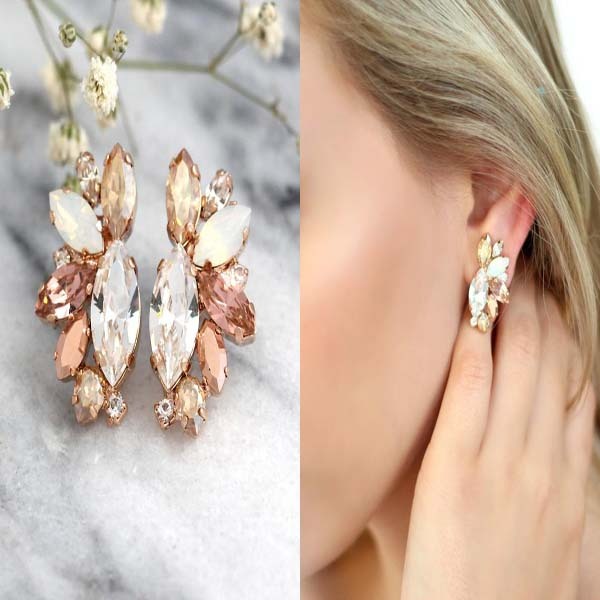 Cluster earrings are designed in a similar way of stud earrings. But the difference is that the clusters usually feature a set of precious stones in a single enchanting composition. These precious stones dive the amazing look of your outfit. And you may notice that the stones are designed with various size, shape and color, and sometimes attached with decorative pattern elements or dangling pieces. 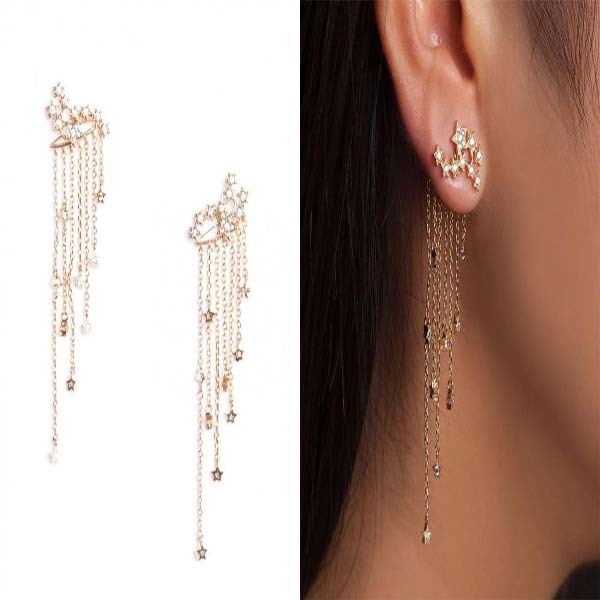 The dangle earrings are extremely popular among the young girls and women. This tendency is due to the fact that they distinct with their stylish design. They can make you look gorgeous and can match your outfit appropriate. 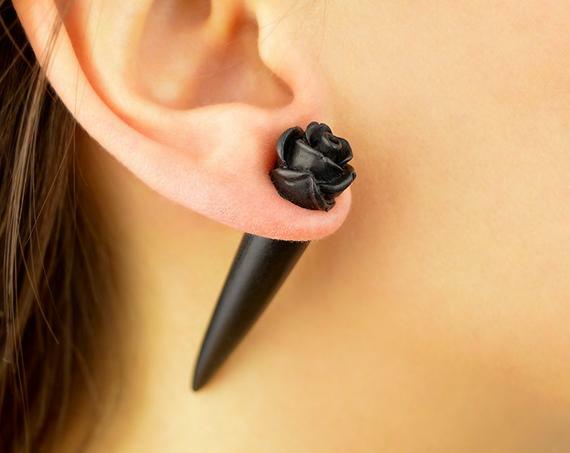 They are often designed in a way to flow from the bottom of earlobes and they can be flexible in length. Drop earrings are usually a set of shimmering jewelry. They can be long or short. They are the ideal accessories to transform your look and show your femininity and grace. 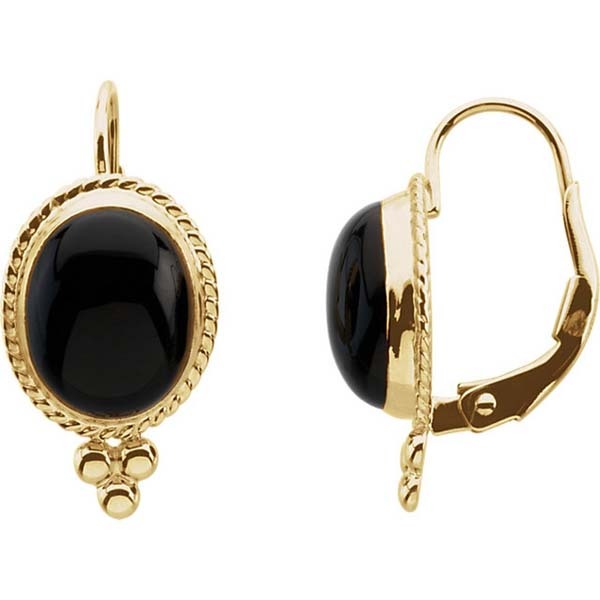 These types of women`s earring give you an aristocratic appearance. 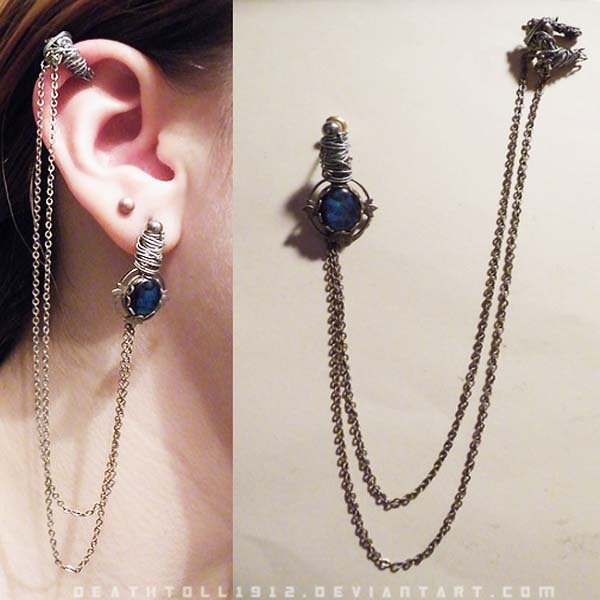 So when you go to the official occasions, this type of earring could be the best choice. Everyone can feel the real gentle energy that you spread around. They could be made by precious materials like gold and pears. This is a brave way to declare the world how precious you are. The cuff earrings may be one of the coolest earring types for most women. They have really a unique design. It covers the majority of the ear from the earlobe to the top and runs up the edge of the ear. Imagine a wing flies along the ear, isn’t it very cool? 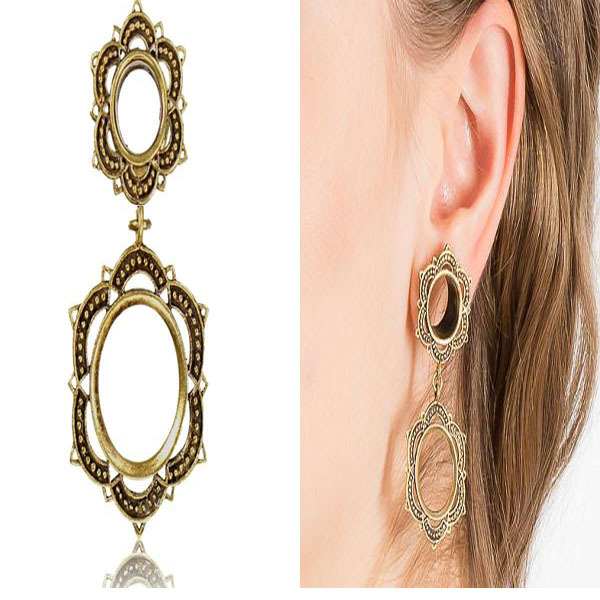 The idea of designing such types of earring is really a creative one. And this earring type also come in various styles, shapes and sizes, and they can be your fashion accessories to show off your personality all the year round. They are suitable not only for formal occasions. You can wear them all day long just because the extravagant design allows you to combine them with even comfortable casual wear but to be stylish in it. A type of a stick 1 mm in diameter and 1.5 cm long that goes into the ear piercing. It does not fall out because it is slightly bigger than the piercing. It is quite popular amongst teenage and preteen girls in Hong Kong, as most schools do not allow stud earrings. It is a kind of an extravagant jewelry that is worn not only by women. It is also an exclusive way to express yourself and to be unique in your stylish preferences. This type of women`s earring Is made of different materials – from gold and pearls to silver and even there are plastic once. There is really a great variety of designs. This feature makes them suitable not only for formal but also casual occasions. They are comfortable and stylish at the same type. The best fashionable way to express your unique personality. Think of a fish hook, a French wire closure is a similar shape. A thin piece of curved metal threads through the piercing and rests in place. You’ll usually see this type of backing on long and dangling earrings. Traditional hoop earrings are a very well-known style of earring that can be round, oval, square or even heart-shaped. The metal in the classic hoop is usually the same width all the way around and it passes through the lobe like a ring, forming a rounded shape. 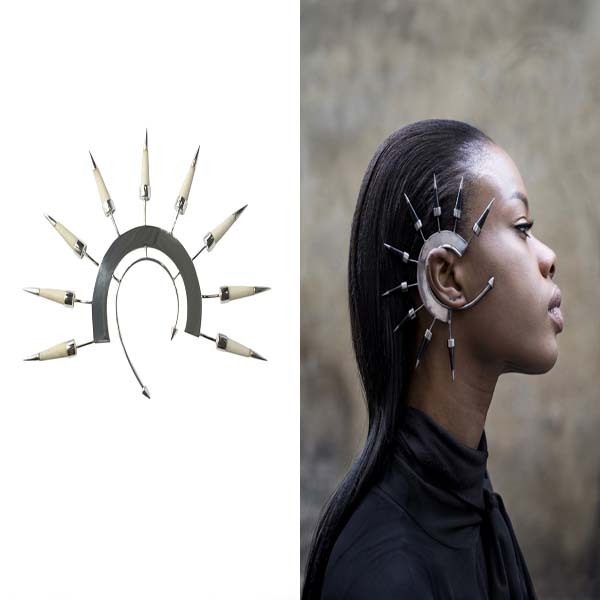 Hinged hoop earrings sit very close to the ear, in effect “hugging” the lobe. 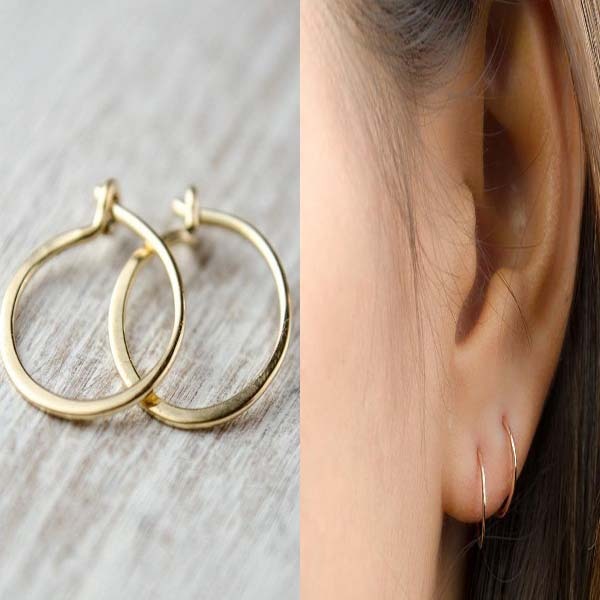 They can be plain, patterned or set with crystals and they are usually secured using a hinged clasp in the centre of the hoop – this helps them to open and close around the lobe. Hoops (the bigger, the better) continue in their reign as the season’s hottest trend. Jennifer Fisher’s ubiquitous gold Samira hoops alone have been worn by every A-lister–from Jlo to Selena Gomez to Hailey Baldwin. Traditional hoop earrings are a very popular style of earring that can be round, oval, square or even heart-shaped. The metal in the classic hoop is usually the same width all the way around and it passes through the lobe like a ring. Creole hoop earrings are usually fastened with a snap-shut fitting. The bottom section of the hoop usually gets wider, forming what looks similar to a half moon. Creole hoops are popular amongst lovers of ‘thicker’ styles. They can also be set with stones or designed with pretty patterns. Kidney ear wires get their name from the identifiable shape of the formed wire used to make these findings. 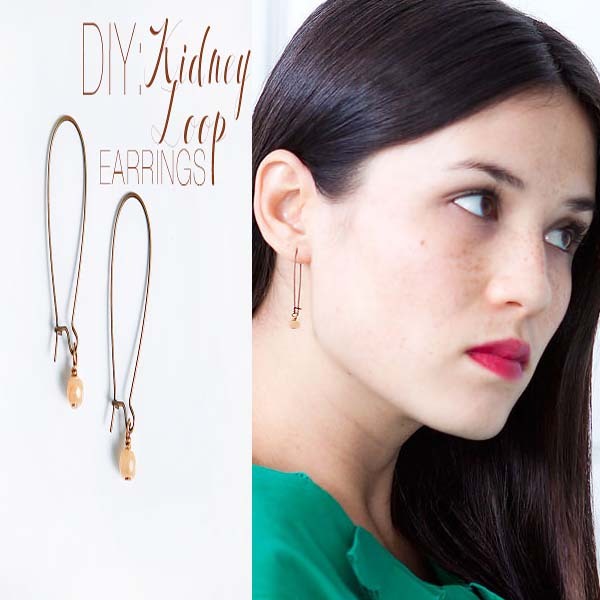 Kidney wires are affordable earring components that offer the security of a hook latch with the affordability of a lightweight, simple design. 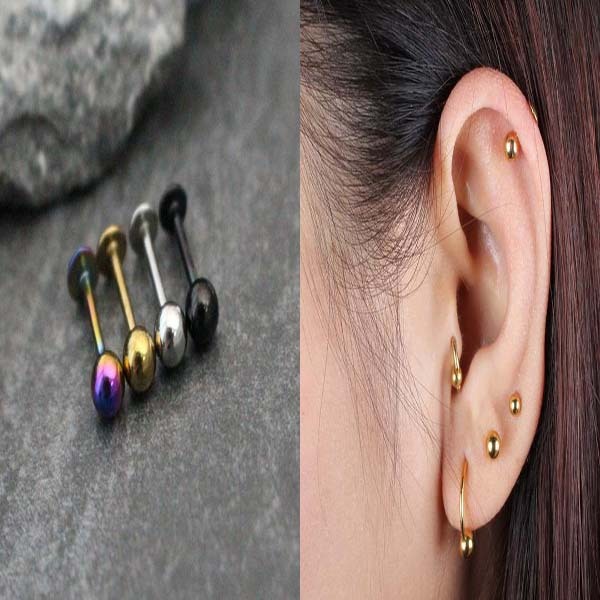 Labret piercing studs can be worn in multiple different piercings – it’s a very versatile piece of body jewelry! Nose rings – you can wear lip studs as nose studs. Conch earrings – If you are going to use a labret post for your conch piercing, you need to buy a long enough post. 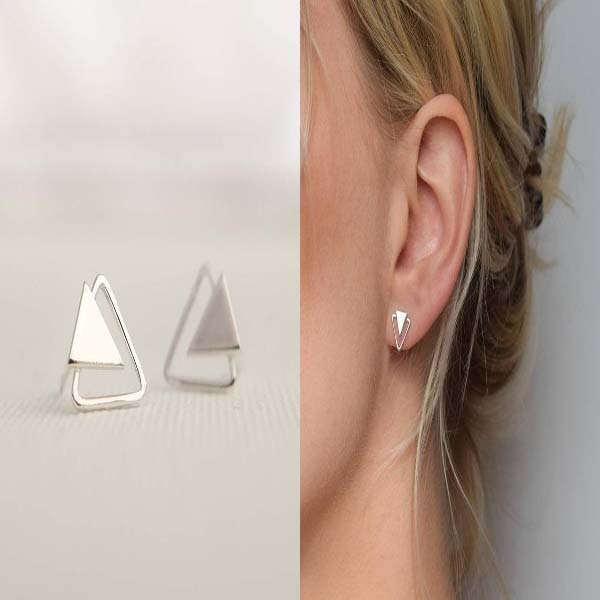 Tragus earrings – Labret posts are particularly nice because they have a flat backing, which makes them more comfortable to wear while using head phones or ear buds. Lobe piercings – The flat backing on labret posts is very comfortable in comparison to the long, pointy posts that regular earrings have. Helix studs – For the same reason that labret posts make great earrings for lobes, the flat backing doesn’t dig into the side of your head when worn in helix piercings. 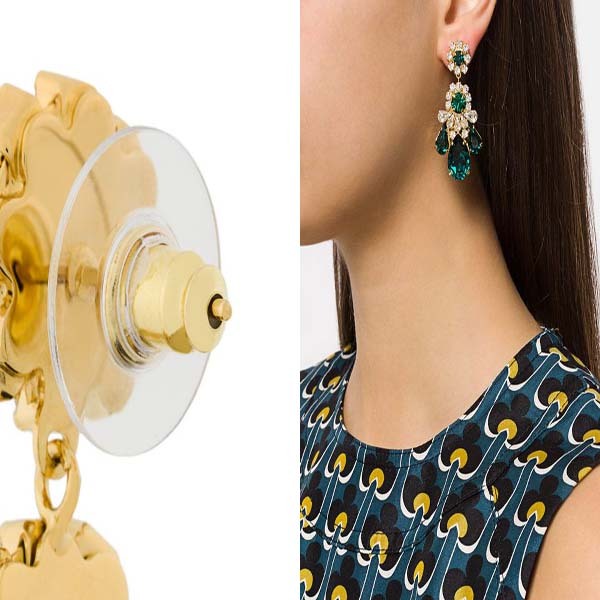 The lever back consists of a curved piece of metal that goes through the ear and a metal latch that goes over the curved piece to hold the earring in place. Lever-back earrings are designed to fit perfectly on your ear to maximize comfort. This type of backing is most often used for drop or dangling earrings. Ears plugs that require O-rings are often one thickness throughout the plug which can be slid easily into the ear stretch. The ear plug is then secured in place in the ear by using what are known as O-rings. O-rings are small rubber circles, much like a rubber band, that slide onto each end of the ear plug and keep the plug in place. There are some pros and cons of course. 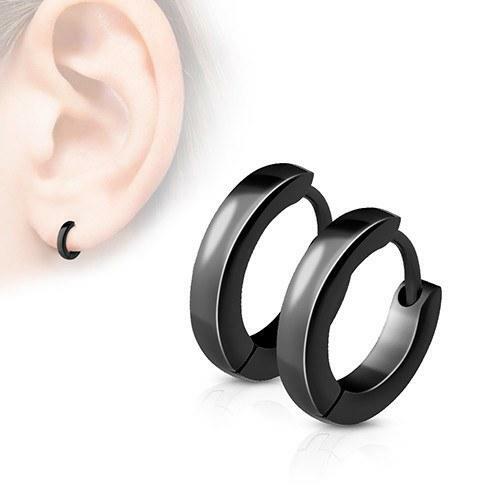 Let`s say they are easily inserted into newly stretched ears, often cheaper but O-rings can fall off if not secured properly meaning that you can risk your ear plug or tunnel falling out and losing it. 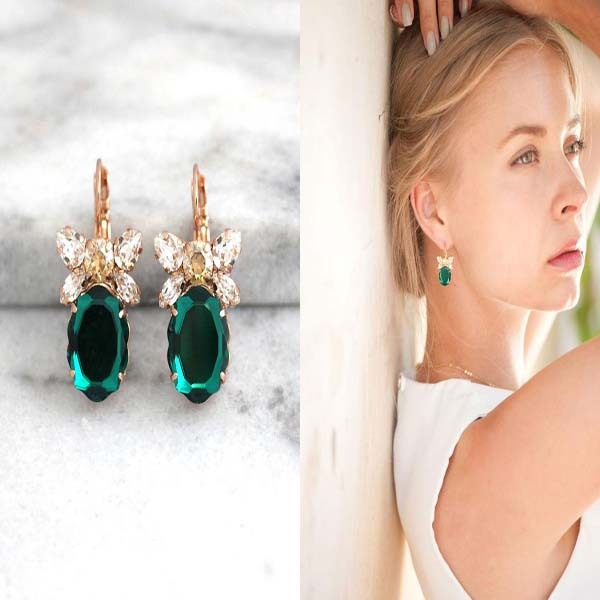 Stud earrings have been popularized since the beginning of the 20th Century and they are now the popular earrings for college girls because they are simple yet stylish as well as chic. This earring type features a precious or semi-precious stone and an enamel or metal design, making it fixed tightly to the earlobe. Stud earrings are types of earrings that are usually small and dainty. There’s still a great variety of options available when it comes to the stud earring style. If you prefer metal over stones, choose a ball stud or something a little more intricate like a heart, star, triangle or flower stud. Gemstone lovers could choose a pair of single gemstones solitaires, whilst pearl lovers could choose a pair of pearl studs to match their pearl necklace. So, stud earrings are suitable not only for formal but also for casual occasions. One of the most popular stud earrings has to be a pair of diamond solitaire stud earrings. Classic, easy to wear and never out of fashion, solitaire stud earrings are a must-have. Stones don’t have to be round either, they could be pear or oval, or the studs could feature a beautiful cluster of stones too. Tapers are a great way to begin your ear stretching journey. A taper is a straight piece either steel or acrylic that is small on one side and larger on the other. When you insert a taper it will increase the size of your piercing. The 1st thing you will need to know about tapers is what the difference is between the various styles and which to choose. Threader earrings are also called Earth Reader and Ear String. 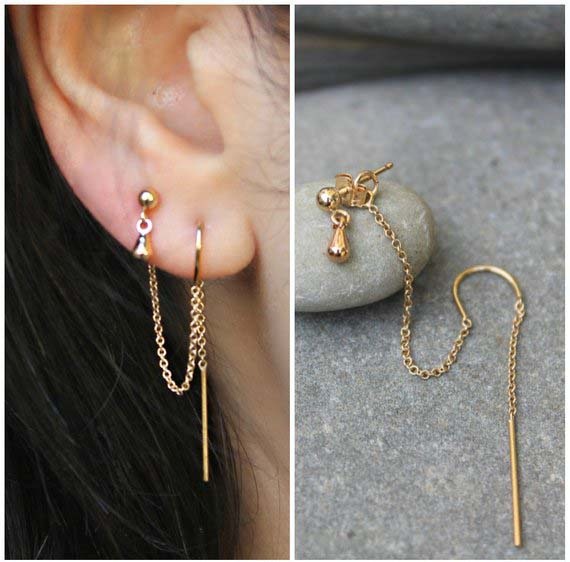 It is designed in a thin chain that slips into the hole of the ear and then comes out dangles. And usually the chain comes with extra pearls or beads on it. They are very attractive and stylish. Practical to be worn and very fashionable.